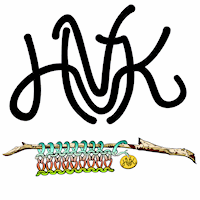 Hello all and welcome to Hudson Valley Knits. I am so thankful this week for all the response to the Sr. Love a Long. I am pretty sure I will have enough washclothes for this year and some left over for next year. I have an idea of what to do with all the extra washclothes that are more feminine. Reminder of the Podcasters Sprinkled With Love KAL. I have all the rules in the Ravelry group. There is a skein of Knitter’s Nightmare yarn as a prize! Raised $40 in pattern sales for Sillyfru’s #crushthesack fundraiser. You can still donate if you missed this. Thank you so much to everyone that purchased a pattern in October! MPG for the Podcasters KAL. Went to NEFF with my friends Sandy and Lori. We got lost going home and somehow ended up at Webs. How did that happen?? ?